Hi everyone! 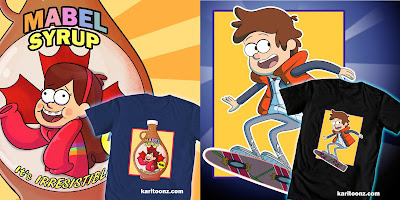 :) I recently entered the Gravity Falls WeLoveFine t-shirt contest, and submitted these two designs for the contest. Voting starts today and ends March 19th. You can vote HERE and HERE for the t-shirts (preferably a 5). In order to vote you have to make a free WeLoveFine account. Thank you everyone! I really appreciate it :).